While nightmares often happen to young children, and even adults, they’re not something that causes concern in most parents. On the other hand, night terrors are something else entirely. Night terrors are a sleep disorder, and often occur in young children between 3 years old and 12 years old. They’re much more intense than a run-of-the-mill nightmare, and happen during the transition between stage 3 and stage 4 of non-REM sleep, which consists of 4 different stages in total. Nightmares often occur during REM (rapid eye movement) sleep cycles, otherwise known as deep sleep. 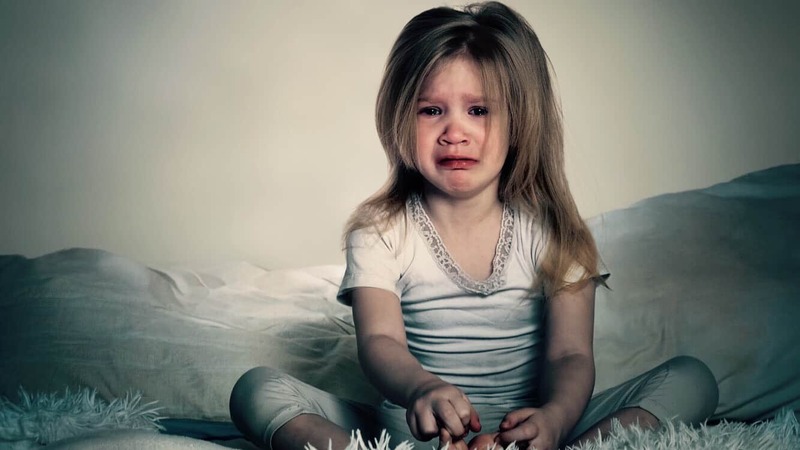 While nightmares may be upsetting to a child, night terrors are often categorized as intense fear during sleep, with crying and difficulty in waking up the child experiencing the night terror. While only a small percentage of children actually experience night terrors, it’s important to know the signs. Boys and girls are both affected equally by night terrors, so there’s no gender bias to look out for, neither is there a race bias, as it seems children of all races can be affected by this particular sleep disorder. Fortunately, there are signs to look out for that show that a child may be having night terrors so that the sleep disorder can be accurately treated. This is because the four stages of non-REM sleep take up the first 90 minutes of sleep before the REM sleep occurs. A child will begin to start crying uncontrollably, or sit up and begin screaming without any way to calm them. If this occurs about 90 minutes after the child first falls asleep, there’s a good chance that this is a night terror episode. Nightmares happen during REM sleep, but night-terrors happen during non-REM sleep, which often allows the child to move about and seem awake without really being aware of what’s going on around them. When a child has a nightmare, they’re often able to recall bits and pieces of the dream that occurs during their REM sleep cycle. However, during a non-REM cycle night terror, children are often not able to recall the dream that occurred. In fact, they won’t even remember the episode at all. They won’t be able to remember waking up and screaming, or any attempts from parents to get the child to rouse from the night terror. The next morning, it will be as if the night terror never occurred, despite the lasting effects. During a nightmare, a child might simply continue sleeping through the whole thing, even if it becomes upsetting upon waking and remembering it. However, night terrors often come with physical symptoms: tachycardia (increased heart rate), tachypnea (increased breathing rate) and sweating. Checking a child’s heart rate and breathing rate can often help deduce whether or not the child is having a night terror. Sweating may also occur during episodes, along with physical thrashing and verbal screaming. Night terrors can be both emotionally and psychologically draining on both the child and the parents. However, only half of children who experience this particular sleep disorder warrant intervention by a physician. If the children are younger than 3 years old, it may be prudent to see a doctor if the frequency of the night terrors happens at least once per week. In older children, physician intervention may be warranted if the frequency of the episodes gets closer to one to two night terrors in a month. There are plenty of things parents can do to help ease a child who experience night terrors. Parents may try taking precautions such as making the child’s room feel safer both emotionally and physically, so that the child doesn’t accidentally injure themselves during a night terror. The parents may also want to get rid of all of the things in the room that can cause sleep disturbances and trigger a night terror, like a television. And of course, making sure the child’s sleep schedule stays constant from bedtime to wake-up time to eliminate any sleep deprivation.